If you have the idea of a boiler replacement on the horizon why not let plumbers in Dublin help you. We have over 40 years experience in boiler installation and can supply any make or model of your choice. We are happy to provide free quotes on any boiler replacement, just let us know. At Plumbers in Dublin, our R.G.I. registered fully qualified team are always ready to provide all the information you require for your boiler installation. It will be carried out in a timely manner at your convenience. Why should you choose us for your boiler replacement? We are fully insured, R.G.I. 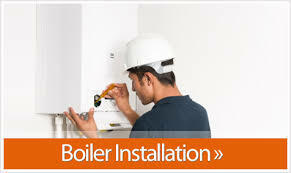 registered and have over 40 years experience in boiler installations. Our customer service is top quality. We will be in and out in a day for a standard boiler installation. We arrange a time that is good for you then remove the old boiler and fit the new one. We leave your property as clean and tidy as we found it. We provide a 5 year parts and labor warranty on all new installations. We will provide unbiased advise on the best type of boiler that will fit your personal requirements. Our work is of the highest quality at all times and our pricing is excellent. We deal with all types of makes of boiler. For standard boiler replacement we usually recommend Baxi or Potterton. These in our view are the best quality and most reliable mid range boiler. There are many types within the market place and if there is a make you prefer we are happy to help. We would advise to steer clear of some of the cheaper makes, especially some Italian models, these can cause numerous problems and be a nightmare to get parts. With the correct care you shouldn't have a problem getting at least 40 years use from your new boiler. For a free, no obligation quote for your boiler replacement call your local team at plumbers in Dublin today on 01-2603222.